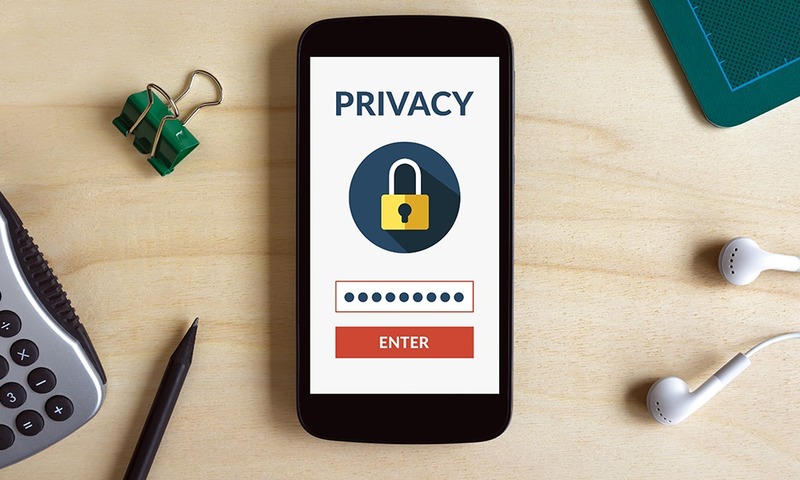 Privacy and security takes centre stage as a consumer trend in 2017. 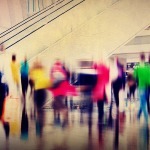 In an increasingly volatile world consumers are anxious to stay safe and well. This trend’s focus is on personal safety and the safety of consumers’ loved ones, according to Euromonitor International. “Personal safety Goods and services — from smart home tech to insurance, organic food to travel upgrades, and investment in education, and anything that will help consumers feel they can buy back control as pilots rather than passengers — will hold a strong appeal,” said the Euromonitor International consumer trends survey 2017. Additionally, there is now a greater leaning towards home and mobile cocooning, with consumers’ experiencing hope mixed with a tinge of distrust, in the promise of artificial intelligence and tech to keep us from harm in an uncertain world. With home and mobile cocooning becoming increasingly popular, consumers are now interested in fortifying their homes as a place of security and refuge. This is enabled as the traditional weekend staples of food, entertainment, and romance are now available on demand via digital devices. 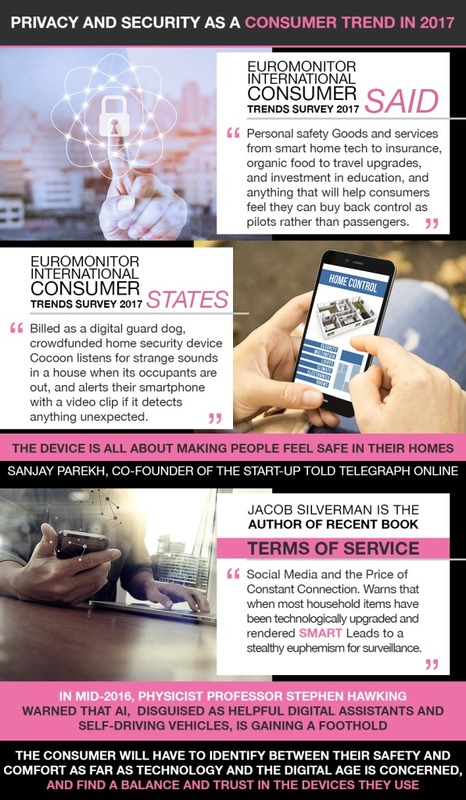 “Billed as a digital guard dog, crowdfunded home security device Cocoon listens for strange sounds in a house when its occupants are out, and alerts their smartphone with a video clip if it detects anything unexpected,” states Euromonitor International. “The device is all about making people feel safe in their homes,” Sanjay Parekh, co-founder of the start-up told Telegraph Online. Tracking is also becoming more popular because it gives consumers a measure of control and reassurance about the safety and activity of their loved ones. A wide variety of apps have been created to give this type of control, such as an app that blocks children from viewing inappropriate content to being able to block texting and certain numbers during school hours. Dog owners can even monitor dog walkers via an app called Wag. While there are several new technologies that give consumers peace of mind regarding security, others are warning against the dangers that come with this technology. Equally, there is said to be growing ambivalence over the potential of artificial intelligence (AI) to bring safety to consumers rather than more control over them. Euromonitor said Hawking warned that advances would not necessarily be benign. The consumer will have to identify between their safety and comfort as far as technology and the digital age is concerned, and find a balance and trust in the devices they use.